You are here: Home / Blog Posts / Is There a Successful House Flipper in You? You can probably see why this holds appeal for many people interested in trying their hands at real estate investment. This is where we’d just like to pass on our few words of caution and advice for people interested in taking this step on their own. Just like any potentially lucrative venture, success will require a few things. It’s going to take patience, skill and some money of your own. Do your research – There are many things that you can and should learn prior to starting off. You can attend various open houses and take courses, you may also want to reach out to others who have found success flipping homes in Central Florida. Learn how to spot the locations and listings that seem to show promise. More importantly, gain an eye for what could be too risky. Learn and understand your local market. Know the different neighborhoods, streets and homes that can be found there. You should consider walking around the various neighborhoods yourself to become more familiar with the area. Know how much funding you have access to without needing to borrow anything. If you’ve identified a potential property, then come up with an estimate for the total cost of the expenses you’ll incur to flip the house for a profit. The veterans advice adding an extra 10 percent to your original estimate to stay within the ballpark. Ensure that you’ll have the ability to hold rent out the property for a little while if you aren’t able to get an immediate buyer. Accounting for the estimated flip time in your budget is also a wise move to make before purchasing a listing. 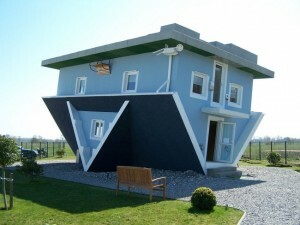 Successfully flipped homes should net you at least 15 percent in profits. If you have taken these estimates into account and developed a sound strategy, this will allow you to move quickly without hesitation once you’ve identified a potential property. Be sure to have your real estate investment team in place beforehand. There is a real art behind the practice of flipping homes, so prepare yourself to face the unexpected. You should consider working with a qualified real estate professional while looking for your first investment opportunity. There is a similar quality shared amongst the most successful in real estate investment— they’re all very well informed on what’s happening in their markets. Starting out, this is an area where a seasoned professional can really provide a lot of value lot you. The trends in the market can fluctuate rapidly, but the time is ripe for home flipping in Central Florida. If you are interested in learning more about this trade, then please feel free to contact us as soon as you can. I’m a stay at home mom an I’m interested in starting home flipping now that kids don’t need me as much but as with most people there is a lot of risk an fears involved do u know of any start slow options maybe even just follow behind an experienced flipper for least one deal so I’m not jumping blind on my first deal I’m sure not everyone wants to show there secrets to everyone but if u do know someone who won’t mind a sponge for a deal I’m really interested just don’t want to try alone an get vambusoled!! Thank u for your time I hope to hear your advice! Thanks again!